The number of people who died as a result of Hurricane Maria, which hit Puerto Rico on September 20, 2017, may be as high as 1,139, far surpassing the official death count of 64, researchers say. For a new study, researchers used official government records to calculate the number, which took into account not just those who died from the immediate effects of the hurricane, but also from secondary effects in the following months. The findings could help people better prepare for and respond to future weather disasters, says Alexis Raúl Santos, assistant professor of human development and family studies at Penn State. For the study, which appears in the Journal of the American Medical Association, researchers used official government records of deaths to find how many people died from any cause in Puerto Rico from January 2010 through December 2017. 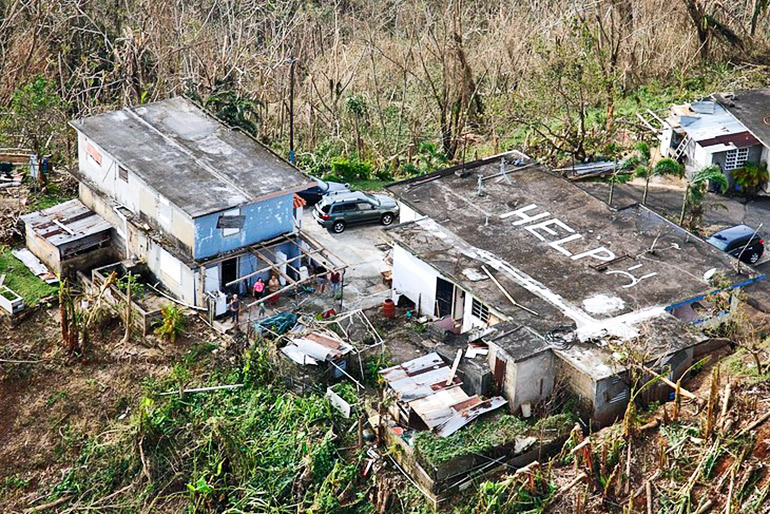 Researchers used the data from before Hurricane Maria hit in September 2017 to determine the average expected deaths for each month. When researchers compared how many people actually died in September through December 2017 (the month of Hurricane Maria as well as the following three months) to the projected estimate, they found that approximately 1,139 more people died than expected, based on previous patterns. There were an additional 459 deaths in September, 564 in October, and 116 in November. 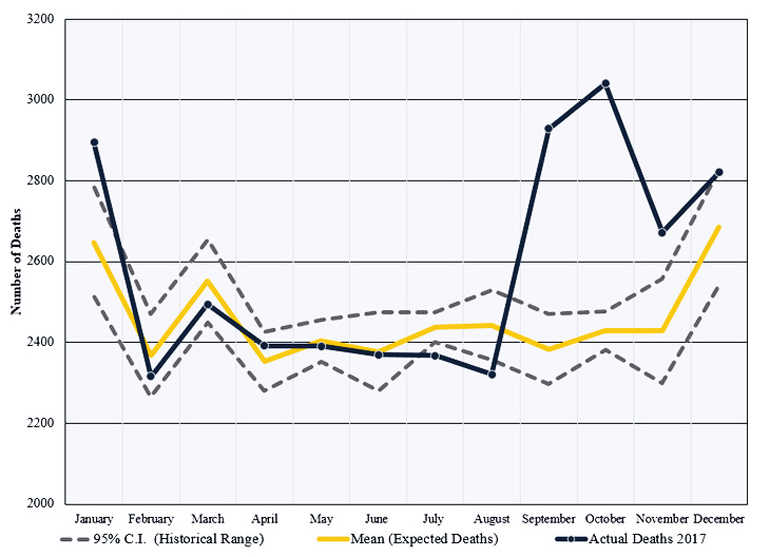 By December, the death count had returned to levels within the historical range. Beyond those who died during and immediately after the hurricane, additional deaths in the months following could be contributed to the weather disaster, as well, Santos says. “When the area is flooded and without power, that’s not a safe environment for a grandmother on dialysis. That’s not a safe environment for someone who has an asthma attack and may need therapy. Essentially, that’s what we’re trying to address. Not just the people who drowned or died in landslides, but also the people who died because they didn’t have access to their basic needs. Santos says that while the damage from Hurricane Maria has already been done, he hopes the research can also help encourage cooperation between researchers and government. Researchers from the University of Texas at San Antonio contributed to the work.